Let your imagination go wild when it comes to ornamenting your child's bedroom, in the end; they deserve the most attractive room in the home. After purchasing an old fashioned 1970s apartment, the owner asked us to transform a blank-canvas bedroom into a new room for her child. Our designers decided to go for simple style, bold colors, and smart decoration to make the most of the small space. 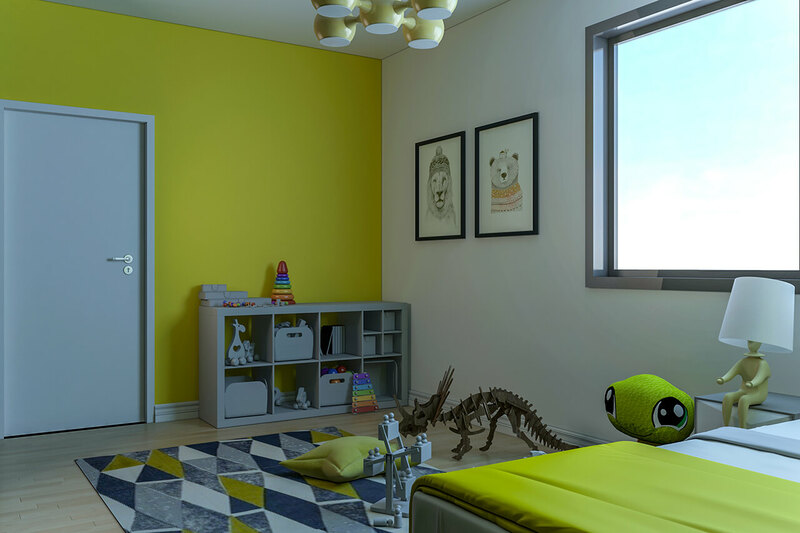 Designing children's bedrooms can be a huge mission, even for our professional designers. This room is decorated in a way that is entirely unisex, any boy or girl would be excited with it. Being the most noticeable color in nature, it makes sense that green is the calmest color to our eyes. This unique color of the bedroom combines the joyfulness of yellow with the smoothness of green. This color is hard to beat. Enough space is saved on walls to use for hanging paintings and art pieces by using a floor shelf which is very useful in kid’s bedroom to organize and place their toys. The wall color also repeated for the bed and carpet to create a great harmony in the room. Daylight and fresh air have a significant impact on good vibes and health. Although we all need to live indoors, there is no reason why we cannot take these two positive and natural elements into our rooms, especially when it comes to kids’ bedrooms and their play areas. 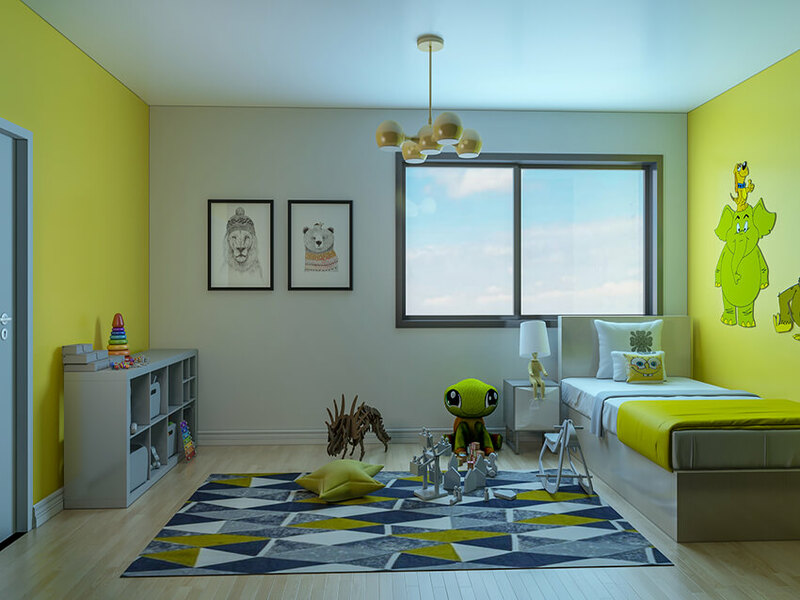 Our designers give so much attention to decorating kids’ bedrooms with all the latest kids’ furniture items and color palettes, and are much more careful about how much sunlight can enter the room. We keep openings and windows as open as possible because sunlight is a vital element for kids to consider in design. The table lamp is one of our favorite accessories in this room as it has a unique and childish style and takes child’s imagination to the next level. Why Do Small and Big Companies Alike, All Outsource Sometimes? © 2019 All Rights Reserved For OutsourcePlan Company.